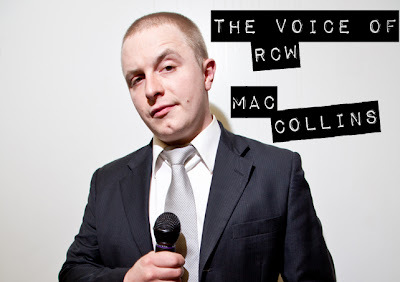 By the power vested in me as RCW Commissioner and my custom-designed high-speed internet connection , it is my sad duty to announce that due to his actions March 23 in Edmonton at RCW Goldrush, ring announcer Mac Collins has been suspended for the April 19 show in Calgary and April 20 in Edmonton. While I recognized that Mr. Collins was provoked by Derek Starlight, non-wrestling RCW personnel are strictly prohibited from becoming involved in physical altercations during RCW shows for reasons of licensing, safety, and professionalism. Mr. Collins will also be undergoing voluntary anger management counseling with Dr. Shelby, a noted specialist in wrestling-related emotional issues who has worked with Kane, Daniel Bryan, and numerous others. 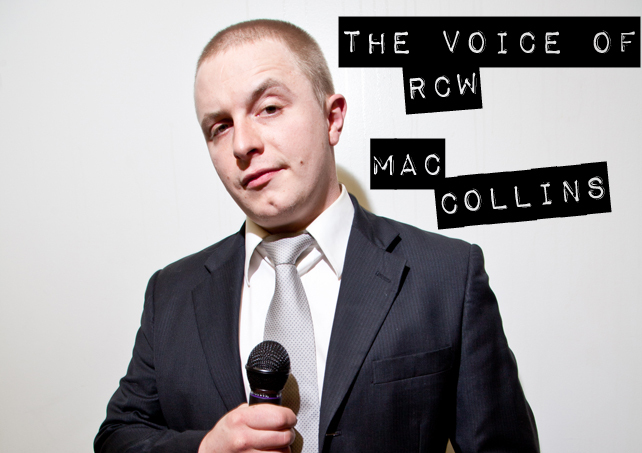 We apologize to our fans for the inconvenience and look forward to the Voice of RCW`s return.